Long Run remains the favourite for the Cheltenham Gold Cup, but Kauto Star and Grands Crus look the most intriguing contenders following the Christmas meeting at Kempton. Kauto Star beat Long Run for the second time this season in the King George, while Grands Crus displayed his credentials with a sparkling victory in the Feltham Chase. Despite his victories in both the Betfair Chase and King George, Kauto Star’s odds are 4/1 to win the Cheltenham Gold Cup, with Long Run 3/1 to defend his crown in spite of his two defeats. Paul Nicholls is one who is slightly baffled by the Cheltenham odds, given that his horse has not put a foot wrong this season. The trainer added that Kauto Star is currently in the “form of his life” and so there should be no excuses about him being an 11-year-old if he is beaten at Cheltenham in March. There seems little depth to the Cheltenham Gold Cup field behind Long Run and Kauto Star at present and so the decision may be made to run Grands Crus. The six-year-old grey must be considered the best staying novice chaser following the way he stamped his class on the remainder of the runners in the Feltham Chase. Logic would see Grands Crus contest the RSA Chase at the Cheltenham Festival against his fellow novices, but there must now be a temptation to run the horse in the Gold Cup. 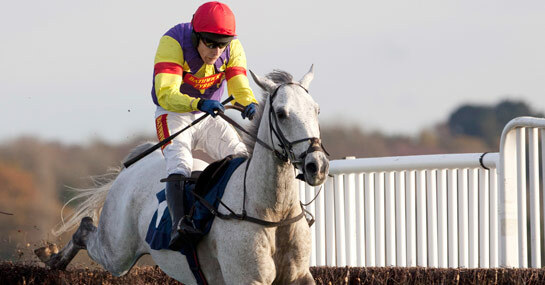 Grands Crus was top class over hurdles and found only the legendary Big Buck’s too good in the Ladbrokes World Hurdle over the same trip, while his time at Kempton suggests he could rival the big two in the Cheltenham Gold Cup odds. It is 8/1 at present that Grands Crus wins the Gold Cup and this price will certainly shorten should trainer David Pipe confirm that this will be his Cheltenham assignment and not the RSA Chase. Backing Grands Crus with Ladbrokes would mean that any stake will be refunded if the horse does not run thanks to the non runner = money back policy for the Cheltenham Gold Cup.